The Indian market is flooded with an increased number of brands offering numerous models of microwave ovens - some with basic features while others using advanced technological breakthroughs, making it increasingly difficult to choose the right oven that meets your needs. Price - Price no doubt is one of the most important factors while determining your choice of a suitable microwave oven. However do keep in mind that the brand and product features are equally important. The amount of counter space available should be taken into consideration while choosing a counter top microwave oven. 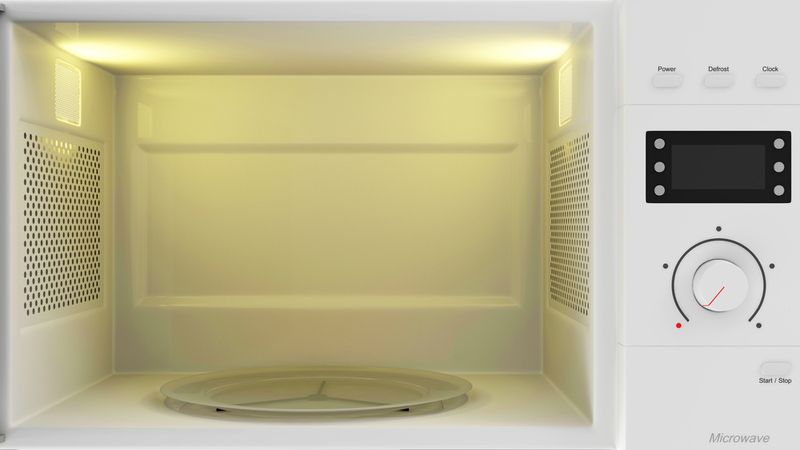 Built in microwave ovens are the latest trend and may help save you a lot of counter space. But these models are relatively more expensive and the space for their placement would perhaps need to be factored in while planning / remodeling your kitchen. Placing your microwave oven correctly is important. It would need to be placed near a 15 amp (power) socket on a hard flat surface. It also needs adequate ventilation for air circulation all around. A small work surface next to the microwave oven would be an added advantage. Purpose - It is important to determine whether you actually intend using your microwave oven for cooking or for mere reheating and defrosting. The choice of the type of oven you need (solo / grill / convection) should be based on this. Family size should also be considered. A cavity size of 17 - 22 litres is usually sufficient for a small family of two or three while 25 - 30 litres may be ideal for a family of four or more. Microwave ovens with a cavity size of 30 litres and above are particularly handy if you host a lot of parties or eat together as a large family as they can accommodate larger dishes for cooking and reheating. Incase you already have an efficient oven / grill you may opt for a solo model. However you will have to consider the space available for placing the two appliances together on the kitchen counter. The kind of food you cook regularly should also be taken into account. For example a grill microwave oven is ideal for cooking tikkas, kababs, etc. while a convection microwave may be used for baking cakes, pies, cookies, tarts etc. Brand - choosing a suitable brand is of utmost importance, as it would determine the product quality and durability of your microwave oven. It is advisable to select a brand with a wide after sales service network and prompt service as well. A. Solo - this is a basic microwave oven and is ideal for reheating, cooking daily meals and defrosting. Usually available in cavity sizes ranging from 17 - 20 litres. B. Grill / Combination microwave ovens are equipped with a "grill" similar to conventional ovens (but only on top). These ovens in addition to cooking / reheating food are especially suitable for grilling foods that require a crisp texture on the outside while retaining their juiciness inside like tikkas, kababs etc. Toasting, making open sandwiches, gratins etc are also possible in these machines. The main advantage of a grill in a microwave oven is that it does not usually require any preheating hence browning foods faster. Combination cooking - using microwave energy along with the grill, cooks and browns food faster while sealing the juices inside making them crisp and succulent. All grill models in India come with a combination function. Cavity sizes vary from 20 - 28 litres. C. Convection microwaves - In addition to a powerful grill, a convection microwave oven also has a fan that circulates hot air evenly inside the oven cavity. These microwave ovens can completely replace your conventional ovens as they operate on variable temperature settings (just like your conventional oven / OTG) making them ideal for baking cakes, cookies, pizzas, pies, tarts etc. However since the heating source is located only on top, they may not be suitable for dense foods like breads. For baking breads etc you may opt for a double grill (top and bottom grill) model available with select brands. Cavity sizes for convection models vary from 20 - 36 litres in the countertop category. You may have often heard terms like cavity size, rated output, power levels, auto cook etc. 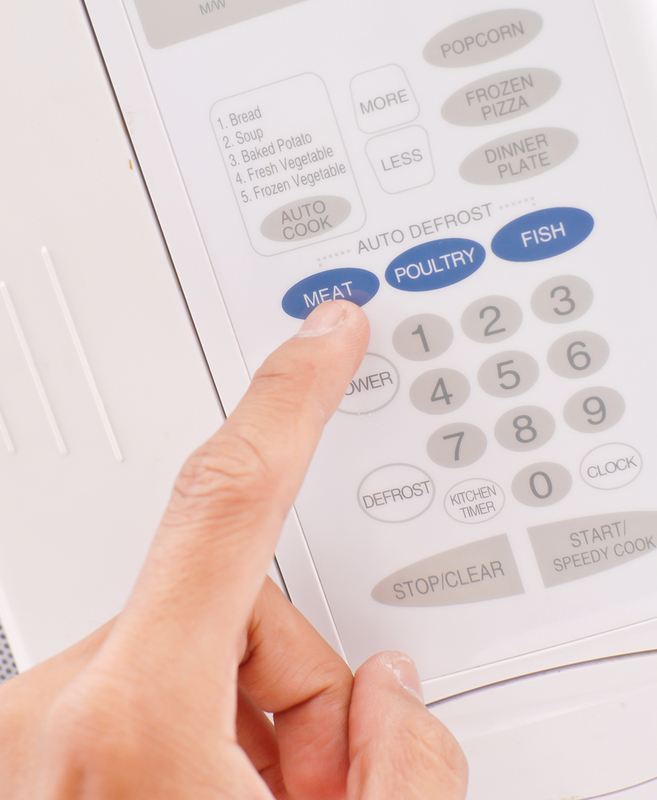 These are some of the features used by marketers to make their microwave ovens stand out. Some of these features are pretty standard across brands while others (brand specific) are truly revolutionary. For ease of understanding, we have divided these into basic features mostly available across brands and advanced features available in select brands / models. Rated Power Output - this is one of THE most important feature to look for. The rated output of your microwave oven will determine the speed of cooking and the end quality of food cooked in that oven. 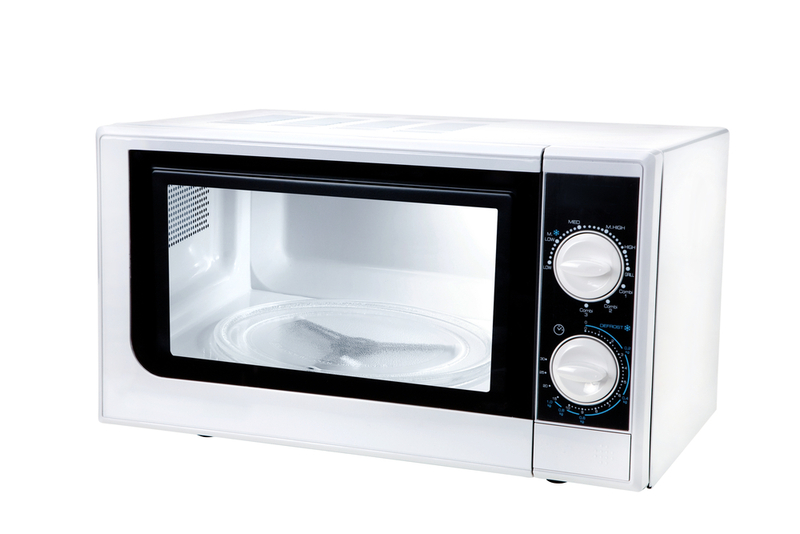 Microwave ovens in India have a rated power output ranging from 700 watts to 1200 watts. The most suited microwave ovens for Indian cooking are 800 watts - 900 watts (for a cavity size of 20 litres and above). Cavity Size - microwave ovens come with different cavity sizes ranging from 17 - 36 litres. A cavity size of 17 - 20 litres is more suited for a small family comprising of 2 / 3 people while a larger cavity of 22 litres and above would be ideal for larger families. Also do consider the existing microwave safe cookware you may have at home. For eg. A 17 litre microwave oven may not be able to accommodate a standard 12 inch dinner plate, you may then need to reheat food in glass / microwave safe plastic dishes / bowls. Also smaller cavity sizes are not suitable for reheating food in large quantities. We therefore recommend a cavity size of 20 - 25 litres for a small family and 27 - 30 litres or above for a larger family. Turntable - the diameter of the turntable can help determine the size of dish that can actually be placed on its surface. However remember turntable sizes are pretty standard in relation to cavity sizes. So if you opt for an oven with a smaller turntable, you may use deeper dishes with slightly higher edges rather than large shallow dishes for cooking / reheating. All microwave ovens are equipped with an interior light that enables you to keep a watch on the progress of your cooking. Power Levels - power levels play an important role in microwave cooking just like they do in gas stove cooking. As you know certain foods need to be boiled / cooked on high flame while others may require low / gentle simmering. Similarly in microwave ovens food may first be cooked at 100% power and then allowed to simmer at 60-80% power to finish cooking it through. Most microwave ovens come with variable power levels ranging from three to ten. Power levels between 5 - 10 are ideal for Indian cooking. Recipe Book - most microwaves come with a recipe book. However it is important to ascertain whether these recipes meet with your daily cooking needs. Also since microwave operation is fairly recipe specific; it is advisable to glance through the recipe book before purchasing. Auto Cook - most microwave ovens are now equipped with an auto cook feature, that are a set of pre programmed options that only require you to select the type and quantity of food to be cooked. 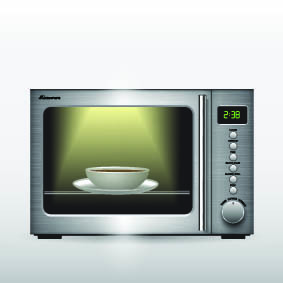 The microwave oven automatically calculates the cooking time and power level required to cook that food to perfection. Since most auto cook recipes now form a part of the product user manual do remember to keep it handy while using this feature. Auto Defrost - this is another handy function especially for working couples. Just stock your freezer with your favorite frozen products and thaw them in minutes for cooking / frying! 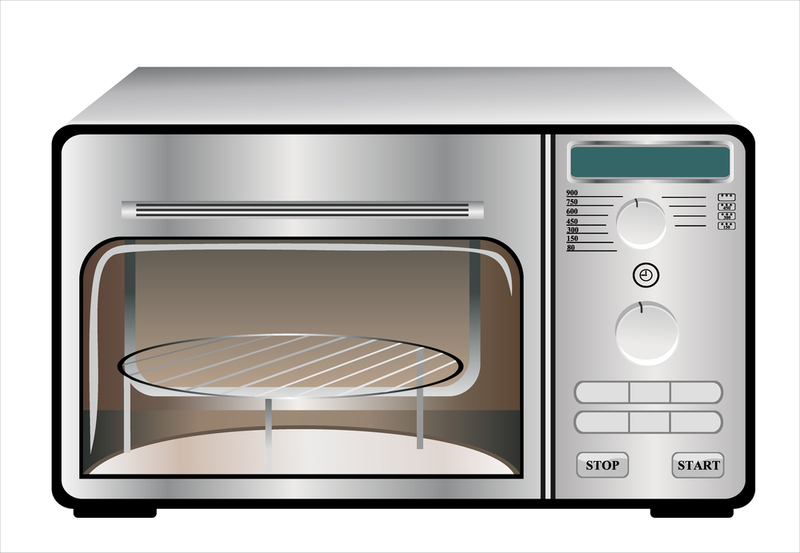 Auto Reheat - some microwaves offer auto reheat options which are a set of pre programmed functions that only require you to select the type and quantity of food to be reheated. The microwave automatically calculates the heating time and power level required to reheat that dish. Child Lock - most microwave ovens have a child lock that can be activated in standby mode to prevent accidental usage. Whether your oven has a child lock or not it is recommended to always place a microwave safe glass / mug filled with water inside the oven cavity to prevent damage to the cavity in case your microwave is accidentally operated. 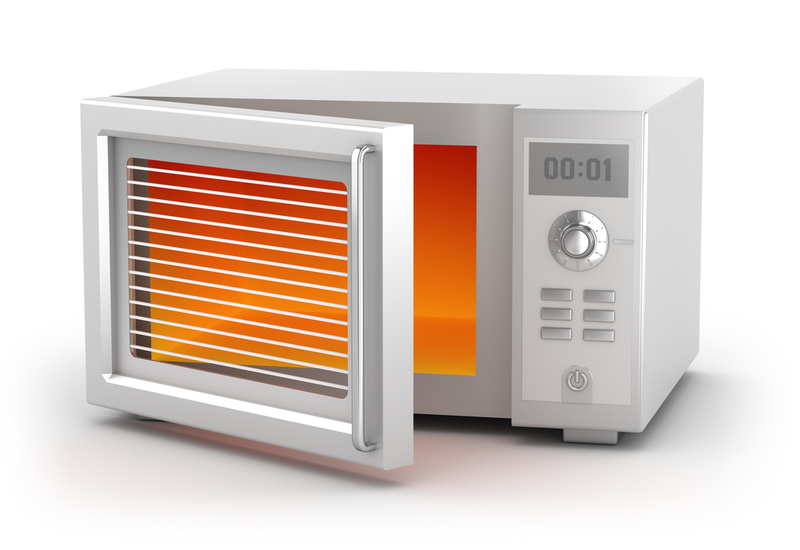 Quick Start - when using this function the microwave oven automatically starts operating at a 100% power level, on microwave mode, for 30 seconds - 1:00 minute, without having to actually feed in the cooking mode or punch in the cooking time. The same button may be pressed repeatedly to increase the cooking / reheating time by a few seconds / minutes. 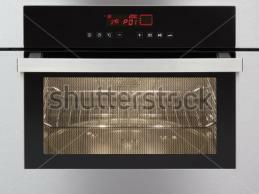 Clock - Most microwaves with digital display offer a clock that can be displayed in standby mode. Kitchen Timer - a countdown kitchen timer is also available in most models. The timer may be set to sound a beep at end of the desired time to act as a reminder for pre cooking processes like soaking, marinating etc; for turning off the gas after a few minutes while cooking on the gas stove or for finishing off the cooking process like for standing time. Grill - the type of grill is important. Sheath grills (like the ones used in conventional ovens) require preheating while quartz grills used in most microwave ovens today do not usually require preheating. These days a combination of both sheath and quartz grills are also available which are quite powerful. Some models also have a top and bottom grill which can completely replace your existing OTG’s. Some other more advanced models also use an infrared grill which browns and crisps food very quickly. Convection - Convection microwave ovens offer variable temperature settings just like a traditional oven. However due to smaller cavity sizes and more powerful grills, they usually take lesser time to bake as compared to traditional ovens. Combination Cooking - most grill and convection microwaves also come with a combination feature - which simultaneously cooks food using microwave energy and browns it using the grill - cooking and crisping foods faster than conventional grills. Please keep in mind that some of these features may be brand / model specific. Control Panel - control panels are essentially of two types - touch button and knobs / dials. An electronic display with touch buttons is a lot easier getting used to since you only need to press the corresponding buttons to set the desired function and cooking time. While a dial definitely gives your microwave oven a "premium" look, may take a little time getting used to since one dial performs multiple functions like selecting the cooking modes, cooking times etc. Sometimes a combination of both touch and dial are also available. The choice of the type of panel is purely a matter of personnel preferences. Door Handle - Microwave oven manufacturers offer two types of doors - pull handle / push button side opening doors and drop down doors. Although this is again a matter of personal preference, drop down doors come in handy in smaller kitchens that do not have large work stations around the machine. Small containers can be placed directly on an open oven door for stirring / adding ingredients etc. Turntable Stop Function - the basic function of a turntable is to rotate food / dishes placed inside the cavity to promote uniform cooking / reheating. Certain microwave brands offer a turntable stop function, which enables you to place extra large dishes inside the oven cavity for reheating food for a party or for a large gathering. The turntable may be stopped during cooking / reheating. This prevents the edges of large dishes from scraping against the cavity walls preventing your microwave oven from being damaged or scratched. Keep Warm - some microwaves now have a keep warm function which holds your food at a lower temperature (without drying out or overcooking it) until it is ready to be served. Multi Stage Cooking - is an interesting feature since the microwave can be programmed to cook food at different power levels in one go - say boiling it first at 100% power for a few minutes then simmering it at say 50% power for the remaining time. This is especially useful while cooking certain foods like rice, dals etc. 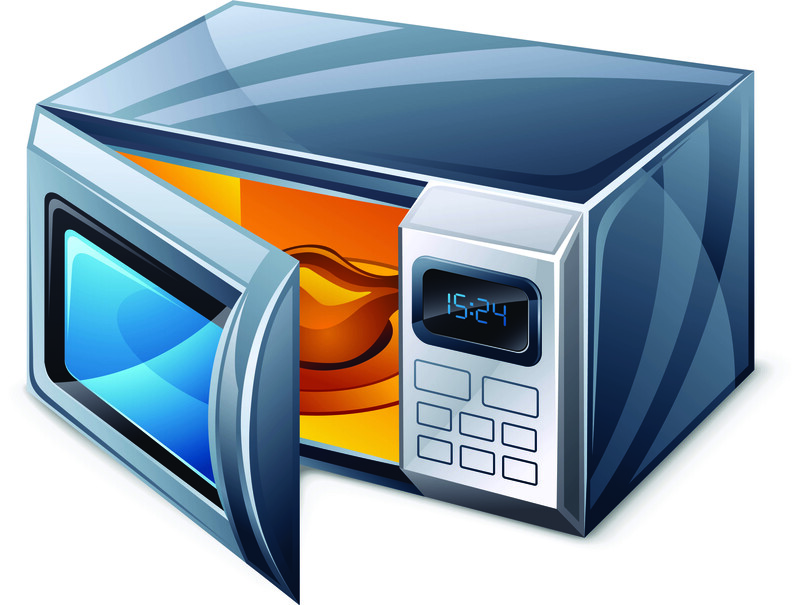 Memory Function - some microwave ovens come with a memory function which allows you to store 2 - 3 of your favorite recipe timings and power levels so you do not have to program them each time you cook that dish. 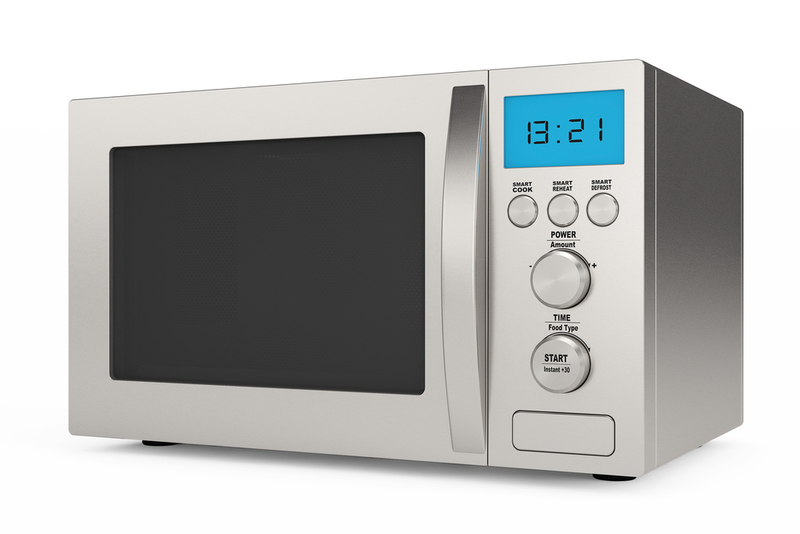 Delay Start - some microwave ovens even have a timer that lets you delay the cooking process by a few hours. When activated the microwave ovens automatically starts operating after the countdown of pre fed time. This feature is mostly suited for products like rice, dal etc. which can be soaked during the countdown time. Sensor Cook - some microwaves now come with advanced weight, humidity and temperature sensors that can detect the initial weight (the oven then calculates the cooking time automatically) and / or doneness of food (the microwave automatically switches off once the food reaches the desired doneness levels). 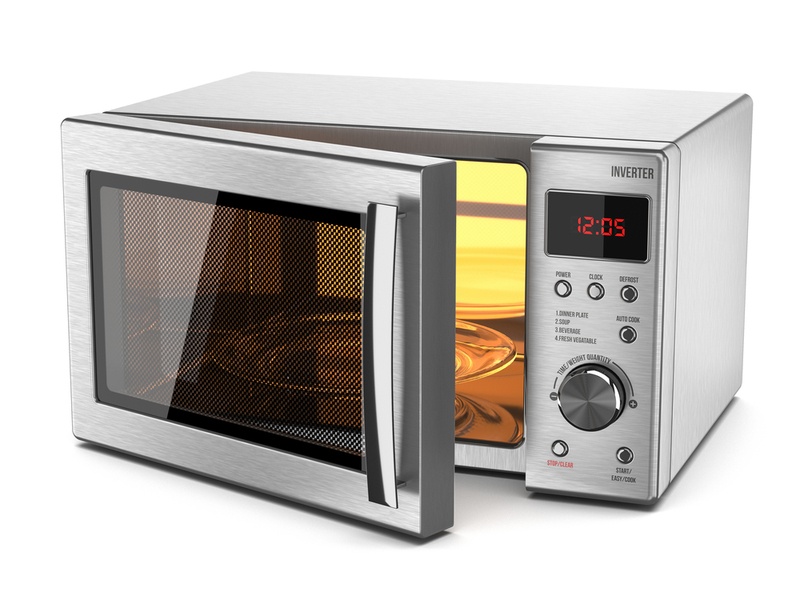 Inverter Microwaves - these microwaves are truly a revolution! While normal microwave ovens give out "bursts" of energy by switching off and switching on the magnetron, an inverter microwave works at a constant level of energy without actually switching off the magnetron, cooking food gently and uniformly while saving on electricity bills. Rotisserie / Spit - some microwaves also have a detachable rotisserie / spit believed to be handy for roasting vegetables and meats. The food is skewed onto the rotisserie and placed inside the oven cavity. It rotates automatically giving your tikkas and roasts a uniform, rich brown colour. Crisp Plate - this is a unique feature available with a certain brand. This feature works on the principle of a traditional tawa, which once preheated, provides food the bottom heat required to cook Indian dishes like tikkis, dosas, parathas, stuffed vegetables, tandoori dishes etc. and international favorites like pizzas, tarts, roasts etc. It gives food a rich brown colour and a crisp (top and bottom) texture just like that of food cooked on a traditional tawa / fry pan. Crusty Plate / Multi Tawa - available in select brands / models. The crusty plate / multi tawa is a specially designed metal plate (baking tray) usually available with grill and convection models. It helps in crisping the bottom surface of food that cannot be turned over.